Sermons: Listen to Pastor Heimbigner’s sermons online or download them to your computer. ELDoNA: Learn about the Evangelical Lutheran Diocese of North America. Pastor’s Blog: Read Pastor Heimbigner’s commentary on various subjects. Pastor Kent A. Heimbigner was born on 08 October 1961 in Anaheim, CA. He was baptized in the Name of the Father and of the Son and of the Holy Ghost two weeks later, on 22 October 1961 at the Lutheran Church of Our Savior in Fullerton, CA. He was confirmed in that same congregation in 1975. 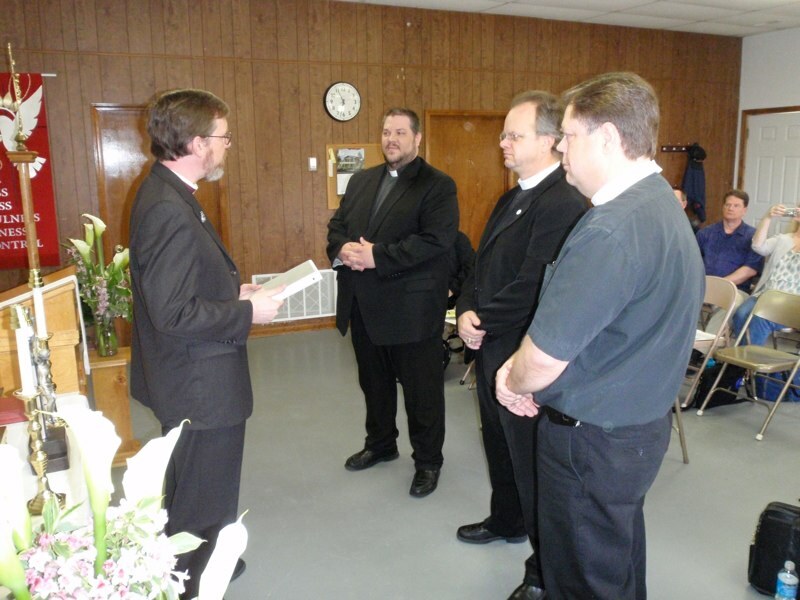 Pastor Heimbigner was installed as the Pastor of Charity Lutheran Church, Burleson, TX in October of 1997. He was ordained and installed at Grace Lutheran Church, Marlin, TX on 22 August 1990. Pr. 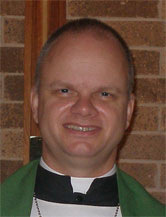 Heimbigner served there as Pastor for seven years, prior to becoming Pastor of Charity Lutheran in Burleson. A graduate of Point Loma College in San Diego, CA, Pr. Heimbigner earned a Bachelor of Arts degree in 1985. Thereafter he enrolled at Concordia Seminary in St. Louis, MO, receiving his Master of Divinity (M.Div.) degree in 1989 and a Master of Sacred Theology degree (S.T.M.) in 1991. With a concentration in Dogmatic Theology, his primary research had to do with the relation of the Office of the Holy Ministry to the celebration of the Lord’s Supper in Scripture and in the early liturgical writings of the ancient church. While serving full-time as a Pastor, Pr. Heimbigner worked part time as a student at Baylor University in Waco, TX, earning a Doctor of Philosophy (Ph.D.) degree in 2001, with a concentration in church history and a teaching minor in philosophy. His dissertation focused on the relation of Christ to Baptism and the Lord’s Supper in selected dogmatic and devotional writings of Johann Gerhard (17th century orthodox Lutheran theologian). In his community, Pr. Heimbigner has long been a member of the Rotary Club, first in Marlin and now in Burleson. He has served on the board of directors of the Burleson Rotary Club in several different capacities. Pr. Heimbigner has also served as President, Vice-President, and Treasurer of the Dallas / Fort Worth Area Metro Beekeepers’ Association. Pastor Heimbigner has published one book (a reworking of his S.T.M. thesis), and anticipates publication of his Ph.D. dissertation in the not too distant future. He has also published articles in the Lutheran Witness, Logia, TableTalk, and other venues. Pastor Heimbigner occasionally is asked to be a guest on the radio talk show Issues Etc. Pr. Heimbigner and his wife, Denise, celebrated their 25th anniversary in August of 2011. They have five children, and live in a home they are purchasing in north Burleson. Reception of new members at the 2009 Synod of the Evangelical Lutheran Diocese of North America. .